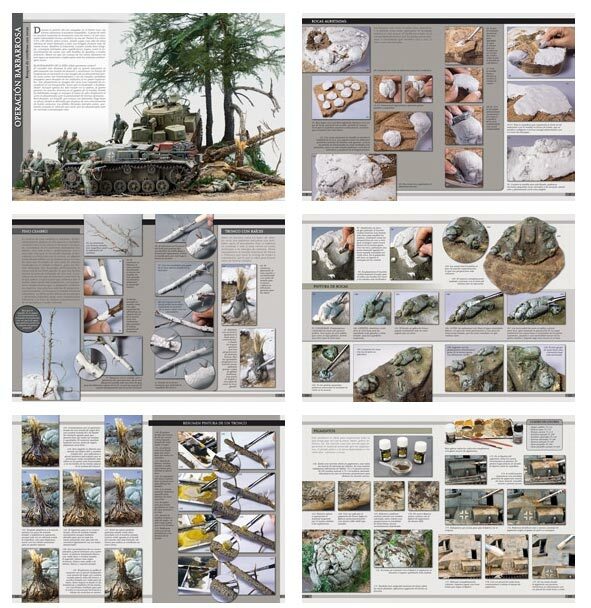 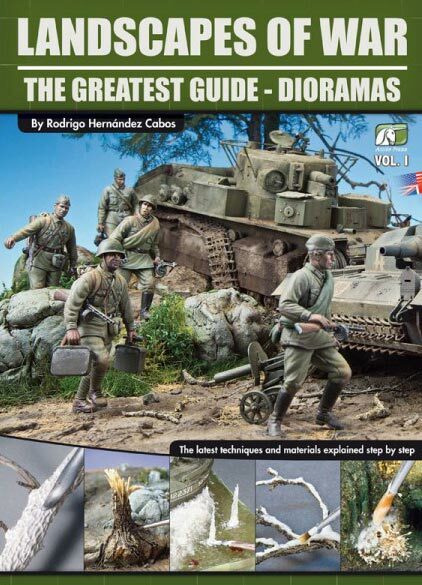 From Accion Press (Euro Modelismo) comes the First Volume in a series dedicated to the art of diorama. 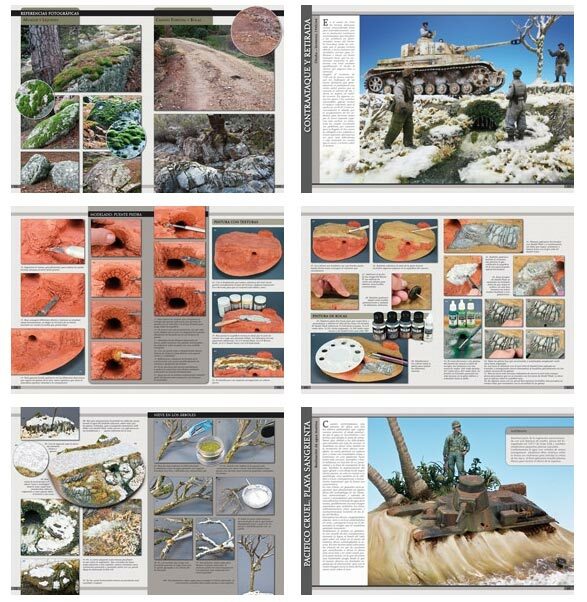 This book is dedicated to dioramas and landscapes of the Second World War. 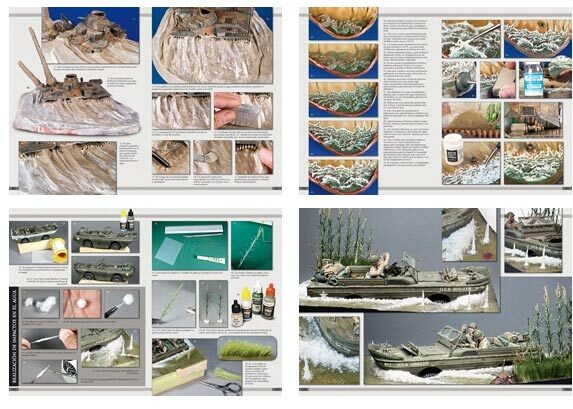 From Russian forests to Pacific beaches, water, ice & snow, trees and rocks are just some of the elements recreated in step by step guides.